As in years past, the conference included keynote addresses, breakout sessions, plenty of time for discussion, Mass and prayer, District and group dinners, and the presentation of the Brother Michael Collins Award of Excellence, which was awarded to the Lasallians Helping Lasallians program at Mullen High School in Denver, Colorado. 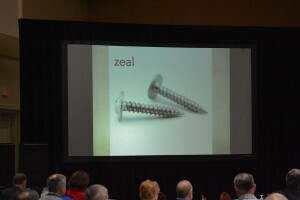 The first full day of the conference began with prayer and the annual LASSCA business meeting. 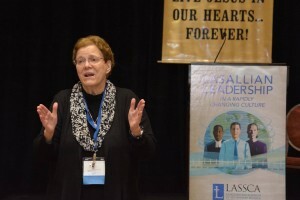 The opening keynote address, entitled “Thorny Legal Issues in Catholic Education and How to Address Them,” was given by Sister Mary Angela Shaughnessy, SCN, J.D., Ph.D., an attorney at law and education law consultant at Loyola Marymount University in Los Angeles, California. After a break to visit exhibitors, participants gathered again for the day’s second keynoter, Marcia Chatelain, Ph.D., who is an associate professor of history and African American studies at Georgetown University in Washington, D.C. 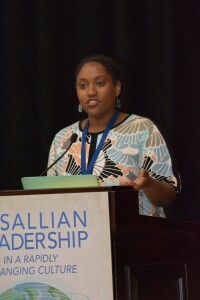 Her address, “Leading Our Catholic Schools Toward Racial Justice: Overcoming Our Fears, Using Our Values,” created thought-provoking moments for the group. On Tuesday, the group listened to “Honoring the Person While Facing the Challenge: Tips for Talking in Times of Change” by Ann M. Garrido, D.Min., an associate professor of homilitics at the Aquinas Institute of Theology in St. Louis, Missouri. 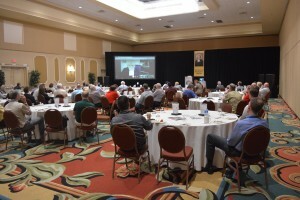 First-time LASSCA attendee Armando Valenzuela, principal of San Miguel High School in Tucson, Arizona, commented on how Garrido’s use of visuals helped him to envision some best practices to take home. LASSCA 2017 wrapped up on Wednesday with Ash Wednesday Mass and a keynote address from Brother Superior General Robert Schieler, FSC, via video conference from Rome. The next LASSCA Conference will take place February 25-28, 2018, again in Orlando, Florida.